The crater of Pacaya volcano emerges from the craggy landscape of what once was a burning sea of lava, now hardened into rippling waves of metamorphic rocks. The deep brown, black and red sands of the crater gently collide with blue sky. There are no clouds on this bright, sunny day in Guatemala, but today Pacaya is showing signs of activity and white puffs of smoke dot the horizon. I’ve never been alone with a volcano before. While it’s true I’m not technically alone as I’m on a tour with Guatemalan Adventures, the panorama before me stretches so wide, uninterrupted by human life, giving the scene an other-worldly feel. It’s unlike anything else I’ve experienced during my three days in Guatemala. This must be the closest one can get on Earth to understanding how it felt for astronauts touching down on the moon. Or maybe how Frodo Baggins felt climbing to Morodor in The Lord of the Rings trilogy. I jump across the volcanic rocks, sharp yet spongy beneath my feet, crunching softly as I bound closer to the crater’s base. I crunch back over the rocks, heading toward a small gift shop that sits near the base of the crater. I’m admittedly skeptical, as I am of most gift shops placed in tourism locations. 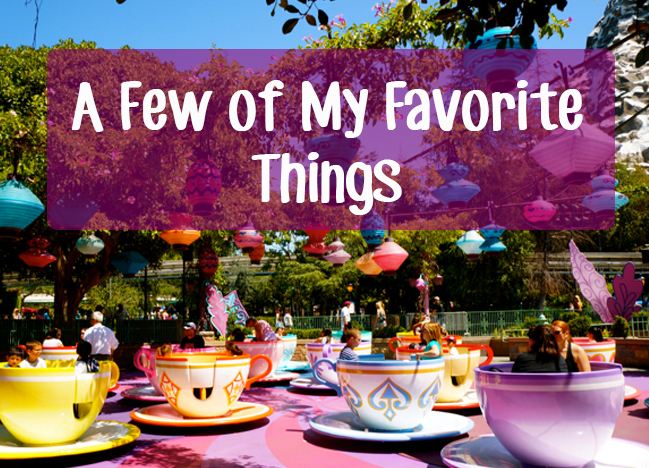 (I did however work at Walt Disney World where the majority of attractions “conveniently” exit into a mirage of souvenirs). 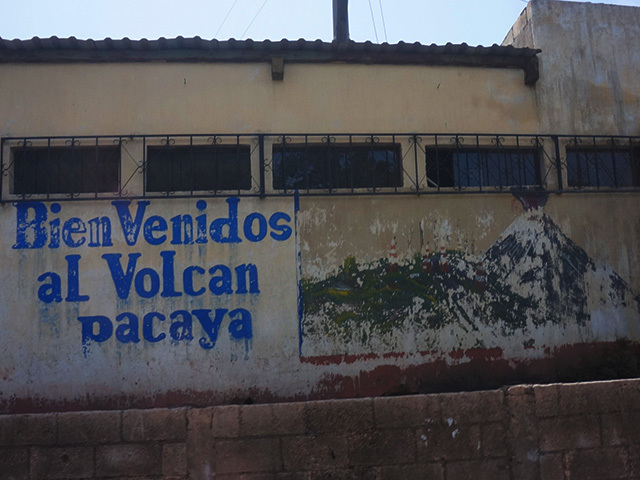 But little do I know that in this gift shop I will come to understand the true magic of Pacaya Volcano. Pacaya, named for a vegetable that grows on trees found in the region, is actually a volcanic complex of 17 craters. 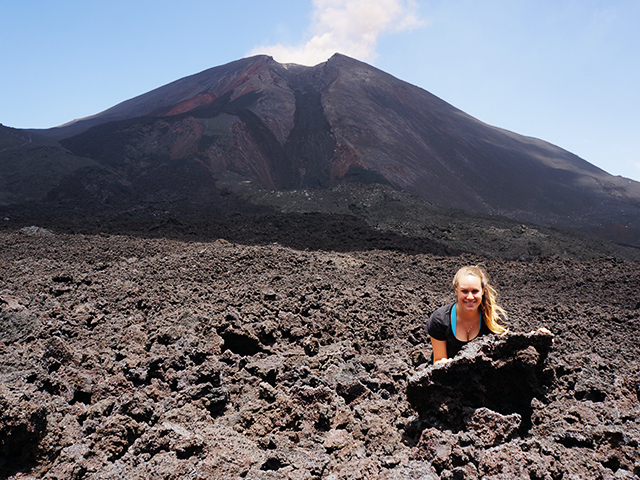 It was dormant for nearly a century, but following an eruption in 1965, has erupted quite frequently in recent years. The largest and most destruction eruption occurred in 2010, covering nearby towns in lava and ash. 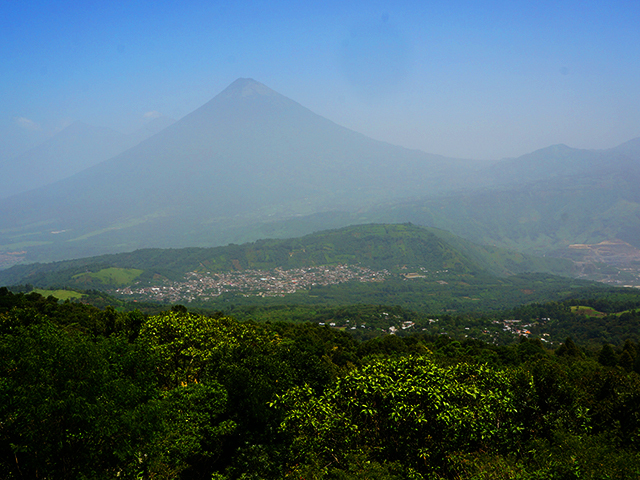 It is now considered one of the most active of the 33 volcanoes in Guatemala. 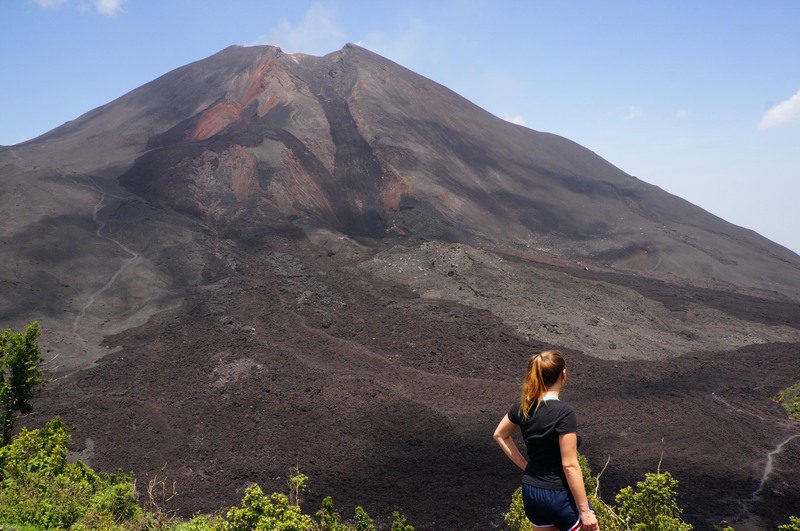 The crater of Pacaya is a two and a half hour climb from the nearest town and Visitor Center in San Francisco de Sales. 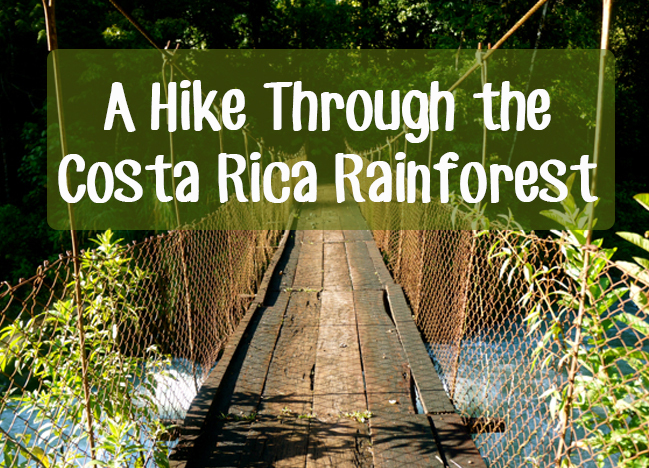 I hike in a small group with Guatemalan Adventures tour company, led by a local guide from the area named Francisco. The ascent is steep, so steep that locals on horseback followed our group about half of the way just in case any of us decided a horse would be a better option to carry us up than our feet. Everyone in our group was up for the challenge and we all ended up hiking the whole way. 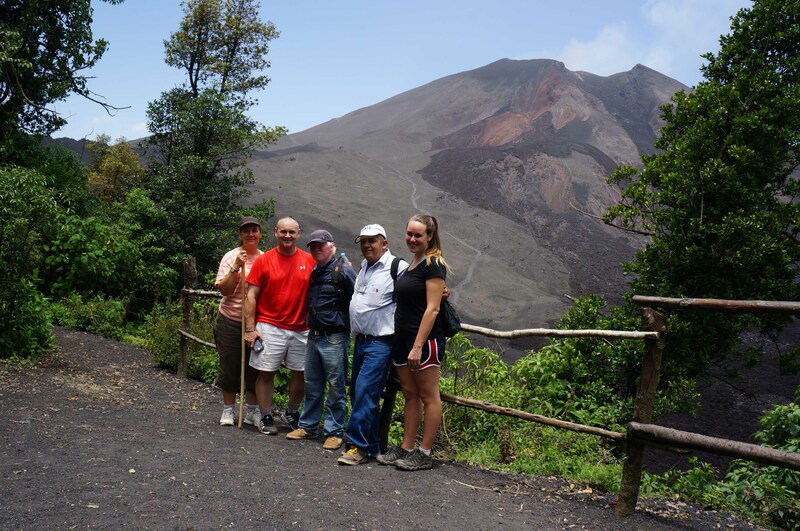 During the ascent we stop at a mirador that overlooks the lagoon of Calderas and offers a view of the Agua, Fuego and Acatenango Volcanoes as well as Guatemala City in the distance. Francisco educates us about the local foliage, all of which has grown since the 2010 eruption destroyed nearly all vegetation in the National Park. It was quite impressive to see how fast nature had returned to the region. The hike to our final destination 2,552-meters above sea level is mostly shaded and the afternoon is humidity free, making for a pleasant day of hiking. Apart from the mirador, views during the hike were quite limited until we round a final corner and suddenly an uninterrupted view of Pacaya stands right before us. This first viewing of the crater completely took my breath away and exceeded all previous expectations. 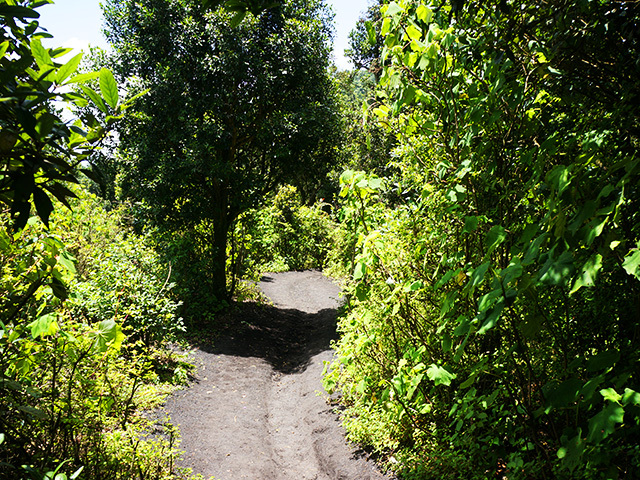 From this first vista point we hike down a steep, rocky path to get closer to the crater. We did not climb the crater for security reasons as it is an active volcano, but the up-close views are still unbelievable. I’ve traveled to a few volcanoes in Costa Rica recently as well as Hawaii, but the access at Pacaya far exceeded any of these previous volcano sightings. 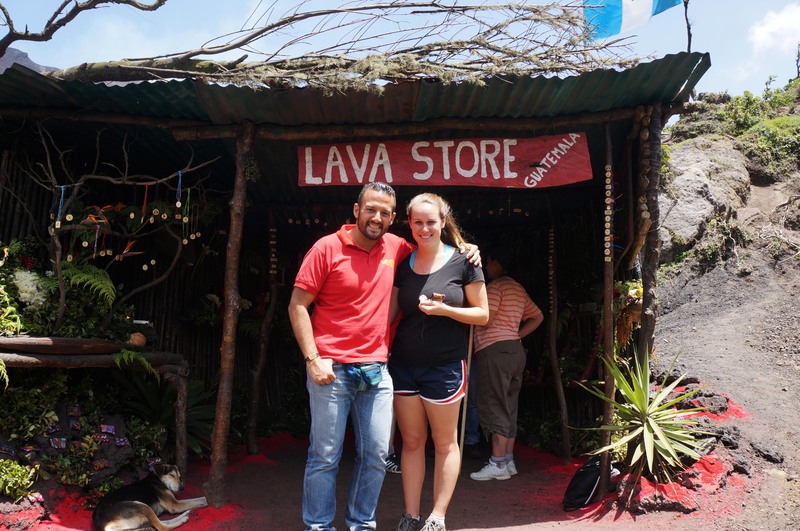 In the Lava Store I speak with David Flores, a Californian native of Guatemalan descent who recently left a successful career in Los Angeles to find a greater purpose for his life in Guatemala. On May 27, 2010, Pacaya volcano had its largest eruption ever, destroying many homes for locals in the villages below. Following this catastrophic eruption, David, along with Fernando De Leon founded Mayan Rebirth, a jewelry collection that benefits the local people near Pacaya. The jewelry line crafts Mayan symbols using lavic ash from Pacaya onto coconut shells. 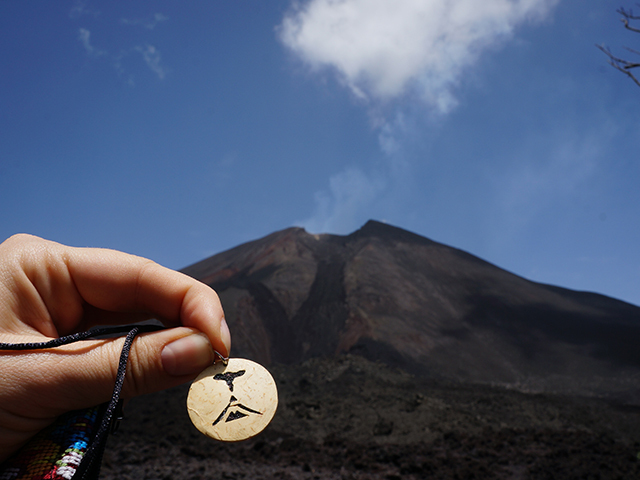 As David speaks telling me the story of the eruption and the Lava Shop, a necklace featuring a volcanic symbol catches my eye, speaking to me as few souvenirs have. I buy the necklace, knowing it will remind me of the emotions I felt and realizations I came to understand at Pacaya. “Look at this piece and remember that with everything inside yourself you can do something about the things that threaten to destroy you and turn it into something positive,” David tells me. Francisco leads us to rocks that are heated by the volcanic activity and there our group roasts marshmallows. 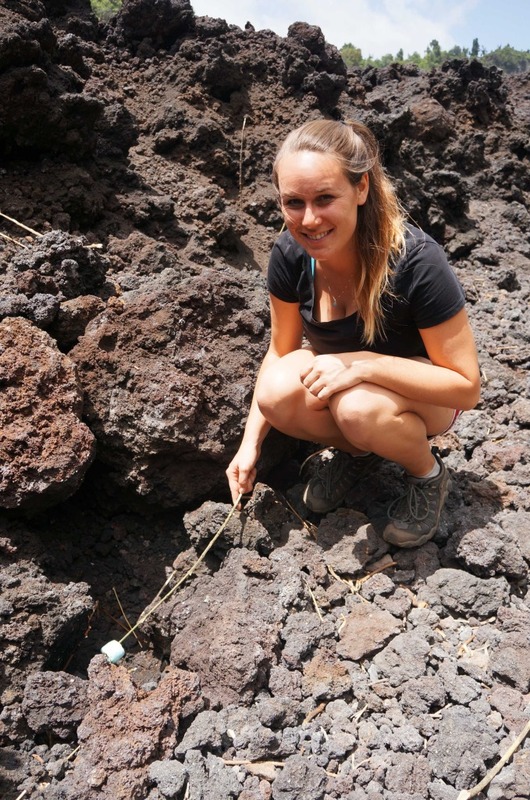 I bite into a marshmallow and take in the power and magic of Pacaya Volcano. Guatemalan Adventure offers day tours of Pacaya Volcano departing from Guatemala City and Antigua daily. 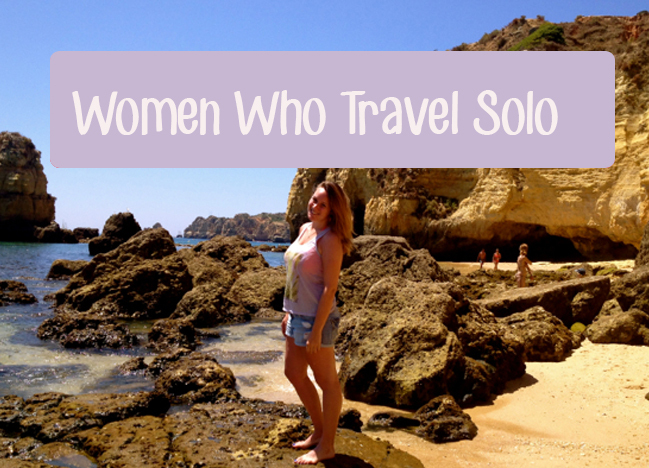 As a female solo traveler, there is no way I would have been able to logistically arrange, let alone feel safe, a hike of Pacaya Volcano on my own. 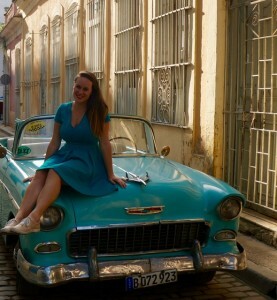 The group tour was small enough to keep the experience feeling intimate, and the guides were all friendly, knowledgeable and local to the areas we visited. 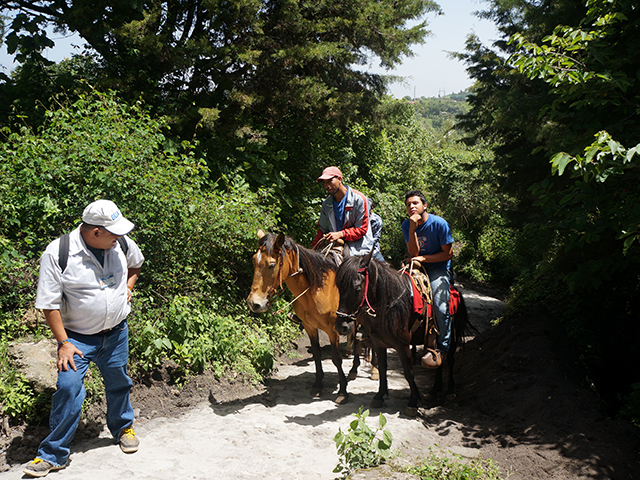 Guatemalan Adventure also provides transportation to and from your hotel. 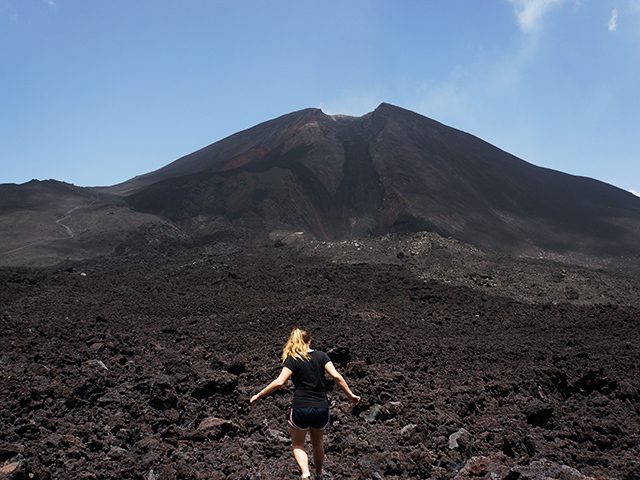 If you are heading to Guatemala I highly recommend taking a guided hike of Pacaya Volcano with Guatemalan Adventure! 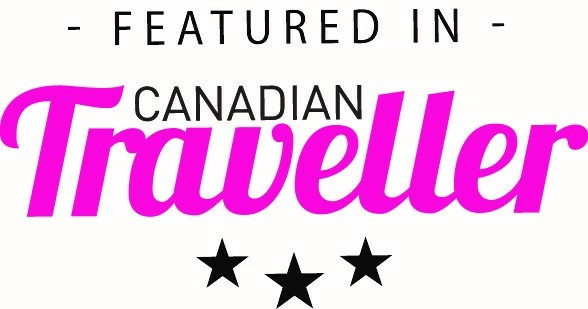 HotelsCombined offers the best rates on hotels world-wide. Find and book your accommodation in Guatemala below. 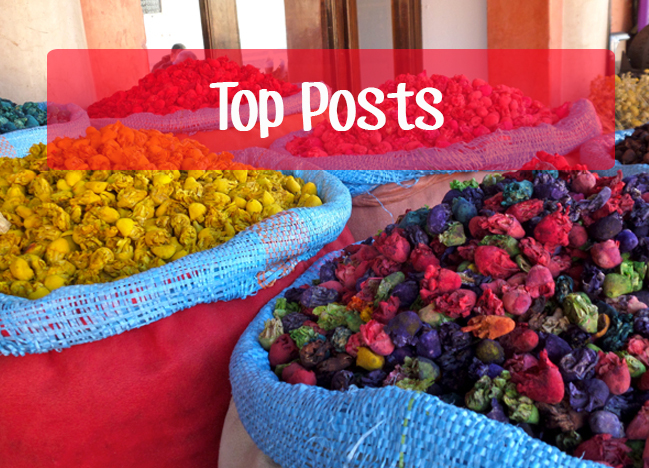 Note: Guatemalan Adventure provided me with a complimentary tour to review. However, all thoughts and opinions are my own. So cool! I have yet to see a volcano 🙁 Thanks for sharing, I’ll definitely bookmark this. 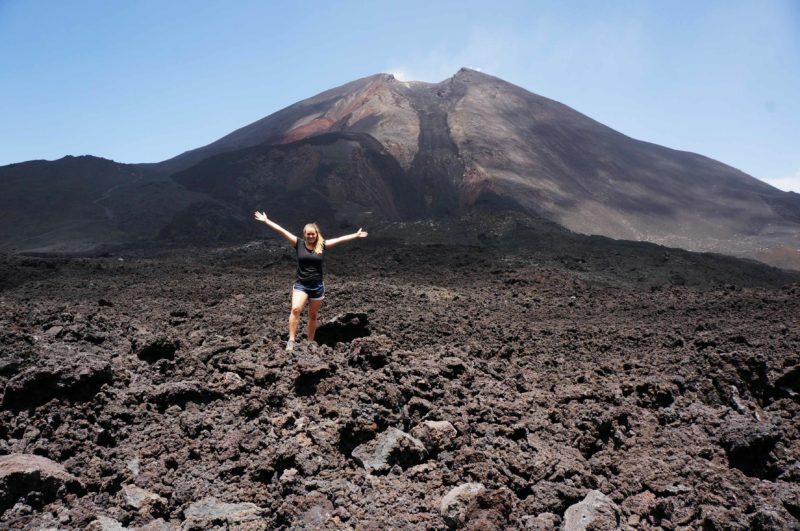 Pacaya would be an epic first volcano for you to see!